Davis Love III, 1997 PGA Championship winner, designed Anderson Creek Golf Club, his first signature course in North Carolina. Anderson Creek was rated 4 1/2 stars by Golf Digest in 2008 and was the winner of the “Best New Course in NC” award for 2001. 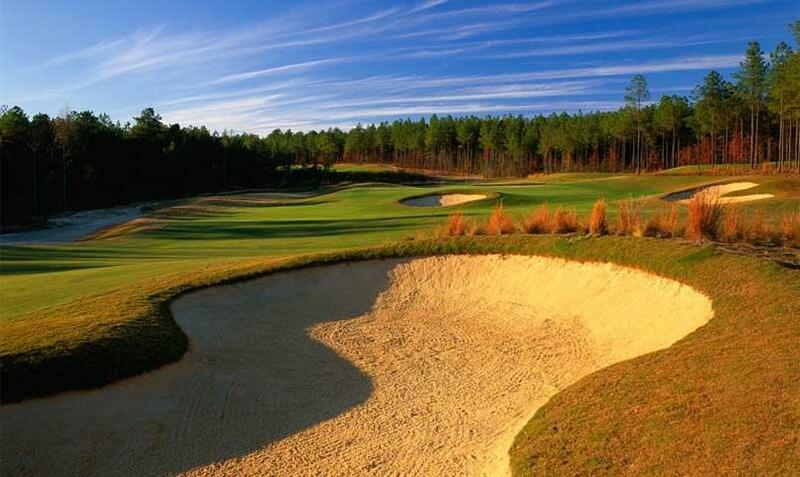 This traditional layout reflects all that is great about golf in the Carolina Sandhills – rolling emerald fairways lined with longleaf pines, natural areas highlighted with love grass and perfectly manicured course conditions. The greens’ large roll-off areas and significant undulations offer a glimpse into the classic Donald Ross architecture seen throughout the Sandhills of North Carolina.